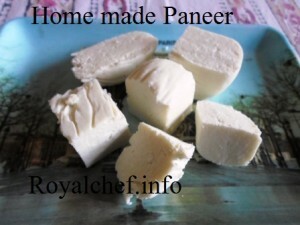 This is a easy to understand Recipe for preparing tasty Homemade Paneer. This step-by-step recipe will make it most simple for anyone to prepare pure, safe and unadulterated Paneer or Fresh Indian Cheese at home. Paneer is prepared from either Cow or Buffalo Milk. 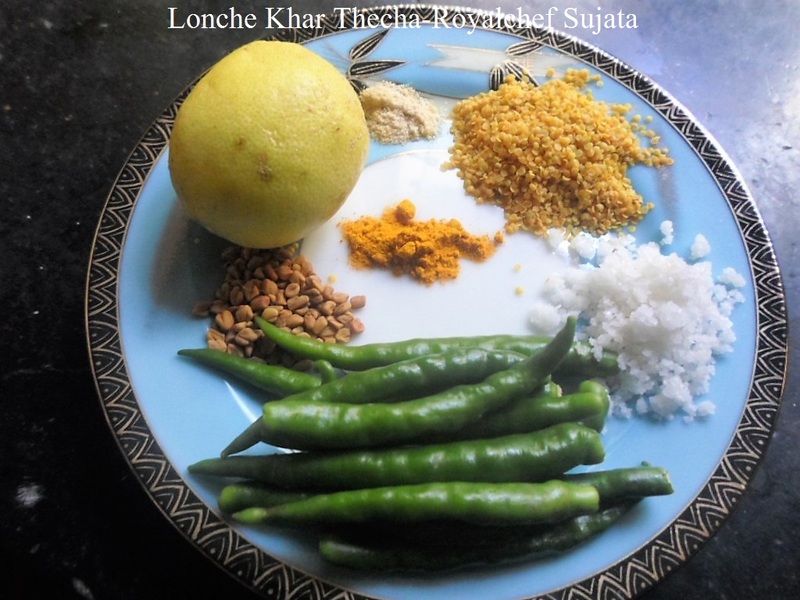 The Homemade Paneer preparation described in this article makes the use of Buffalo Milk, which is thicker than Cow Milk. The Paneer prepared from Cow Milk is normally used for preparing Mithai. As the Paneer prepared from Buffalo Milk is thicker than the Cow Milk Paneer, it can be used to prepare various Paneer dishes, snacks and gravies at home. Boil the Milk in a vessel of medium thickness, on a slow flame. Then add the Vinegar slowly in to the Boiling Milk and mix it slowly and nicely on a slow flame. When the color of the Milk changes and the water starts separating from the Milk, remove the vessel from the fire. Keep a clean thin cloth over the strainer, pour the Milk into it, and then pour two glasses of cold Water over the strainer. This is to separate the Panner from the water. Tie the Panner tightly in a clean piece of cloth and then hang the cloth for 30 minutes. This is to drain the excess water from the Paneer. Then keep the cloth over a tray or the backside of a plate and keep any heavy weight over the Paneer for 4-5 hours. This is to compress the Paneer into a slice like shape. Then remove the Paneer from the cloth and cut into medium sized cubes.